Hey pals! I'm writing this on Blue Monday from beneath a dressing gown whilst on my sixteenth cup of tea of the day. It seems depressingly fitting that it's freezing on the saddest day of the year, doesn't it? To be honest I felt a lot more blue last Monday but I'll take any excuse to have a moan (I jest, I'm not really even that sad... I am on my 5 millionth cup of tea though). 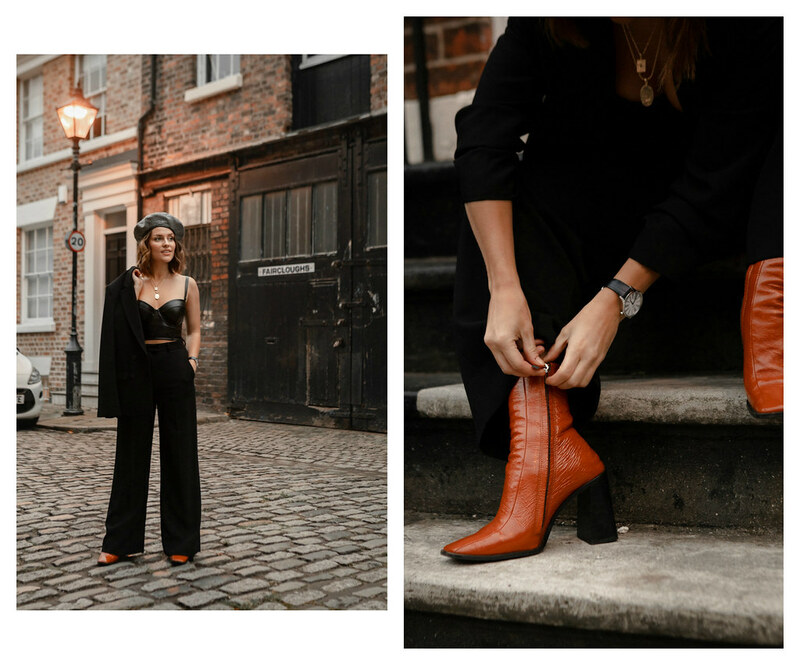 I realise my last few posts have been big ole lookbooks and, whilst I've got a few individual outfit posts coming soon, I've been quite enjoying putting these whoppers together so I hope you like them. 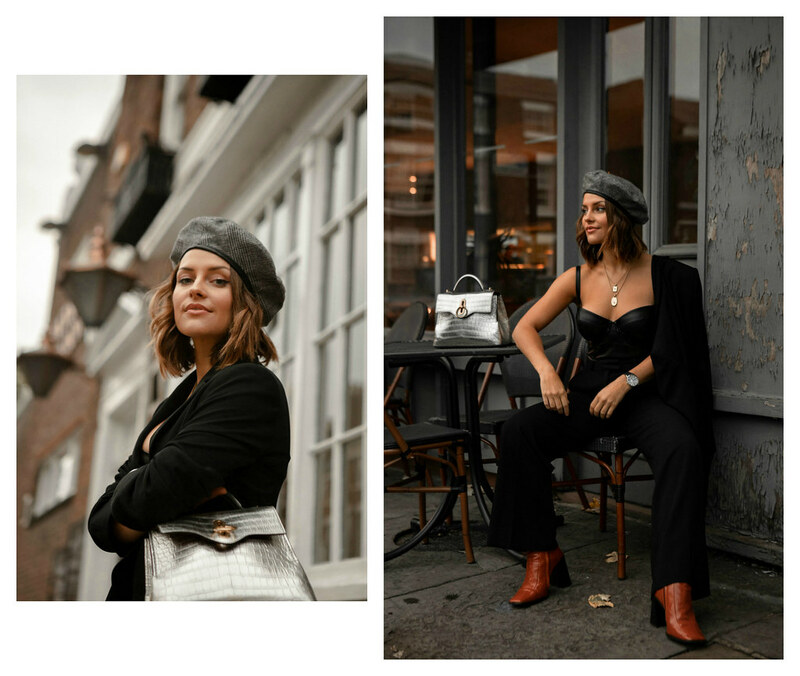 Today's lookbook is dedicated to one of my favourite things... Paolo Nutini? Wait that can't be right, sorry, it's dedicated to one of my favourite pieces of clothing, not one of my favourite things, and that is the humble suit. 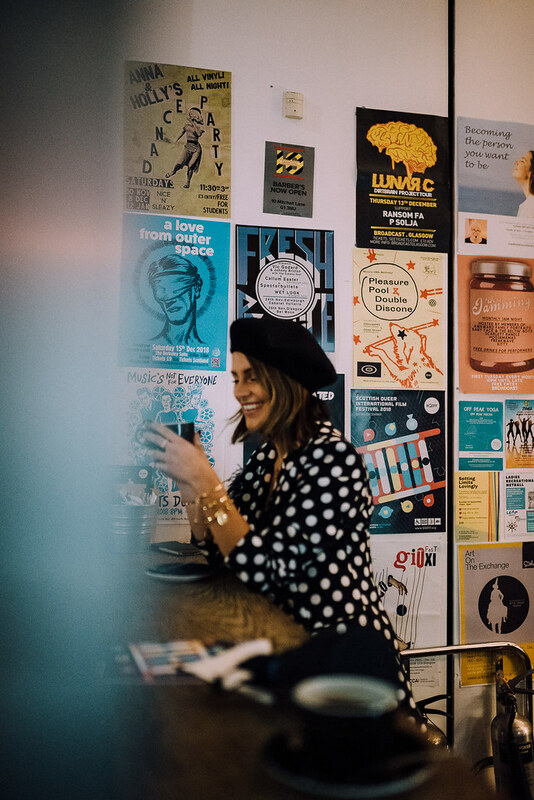 It's something I tend to feel at me best in, partly - maybe mainly - because they let me live out my dreams of being Mick Jagger or Harry Styles. I have actually done a suit lookbook in the past (here's the link to the first one, the second one and the third one. Oh, and more recently this one here) which were some of my favourite blog posts but I've acquired a few more suits since then - somebody stahp me! - so here we are again. The first look is an all black one that I call my 'Parisian Spy' look... Now I've said that out loud I realise how horrendously uncool it is and will cease immediately. I bought the suit in Topshop last year online and was very excited when it arrived to find that it actually fit me without having to get it altered. A five foot girl's wildest dream! I opted to pair it with a leather bustier - saucy - but I'm really excited to wear it again with a white shirt for a more mannish, tailored look. Because it's double breasted it's also possible to wear it completely on it's own if you so wish! FREEDOMMM! Excuse me, a Scottish person is legally required to shout that every time they're wearing something tartan. This suit's a favourite because, as well as wearing it a few times as is, I've been able to wear the jacket and trousers separately with different outfits. For anyone who's sitting at home feeling uncomfortable wondering if I've realised you can do that with literally any suit, I'd like to reassure you that I'm fully aware of this, but there's just something about a red tartan one that makes it especially versatile. I paired it on this occasion with some zebra heels but it'd look just grand toughened up with some chunky black brogues or made 'cool' with some trainers. Why can't I say the word cool without sounding like a 47 year old woman, why? 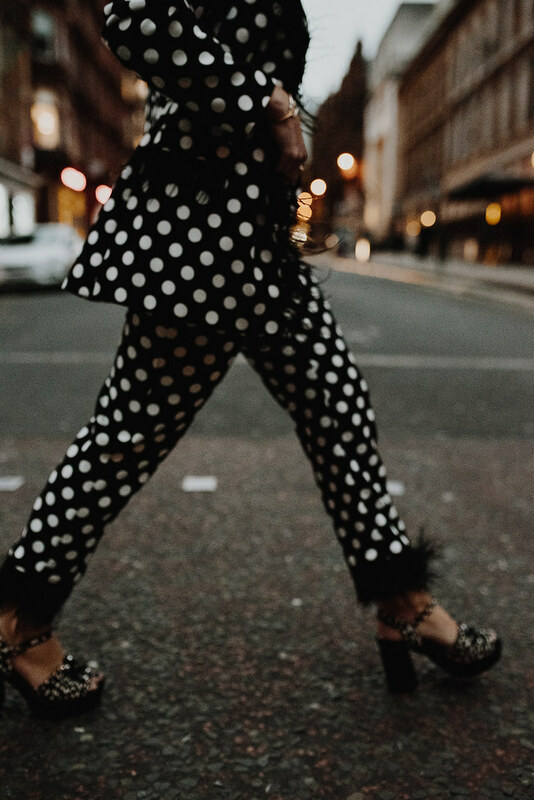 This look screams 'wallflower' with it's oversized polka dot print and it's feather detailing, I know. I bought this suit in the Black Friday sales - any excuse - not knowing if it was going to be a bit too much but I friggin love it. It's a lot more wearable than you'd think; I've had the trousers on with an oversized grey knit, a leather jacket and some patent ankle boots and the jacket with a white t-shirt, stonewash jeans and court shoes. And if you're feeling extra snazzy, wear it on it's own like this crazy frog (the crazy frog is me). 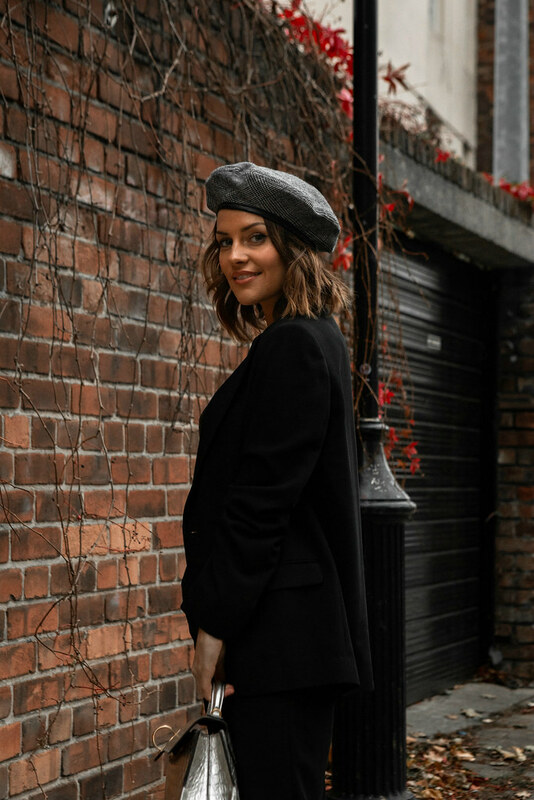 You can also see Megan Smellaby styling up it up beautifully here if you own it yourself and are looking for new ways to wear it! Sidenote: Kevin is one of the funniest people I've ever met hence the lols in all the photos, I'm not just completely overcome with giddiness at the thought of wearing my new suit. Although a little bit of it might have been that. FREEDOMMM! Sorry, you know the drill. Same suit, different day. I told you I'd been wearing it a lot. There's not really much to say about it a second time round so what I'll do instead now is link some other glorious suits below that I've come across recently to give you a wee bit of suit-spo for yourself! 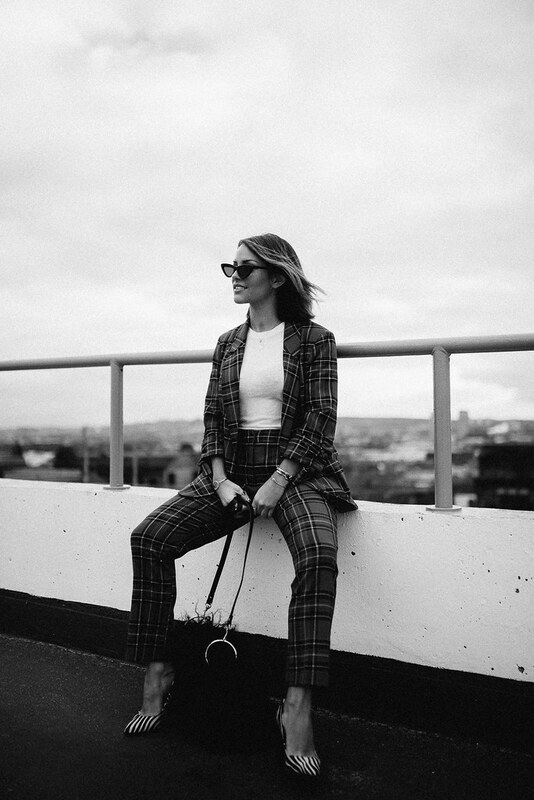 I also finally got round to updating the 'Shop my Wardrobe' section of my blog which has both things that I currently own and things that I'm a-lustin' over in there. These weary January bones are slowly creaking into action, people. OMG the first look is everything! So badass! Obsessed with the first outfit! I love all three looks!! Such a fan of the tartan suit. "FREEDOMMM" made me laugh every time too!